Do you have ancestry that settled in or may have passed through the Northern Territory? 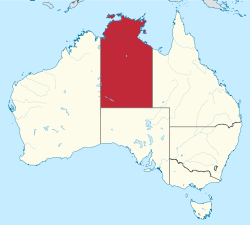 This is an index of Aliens registered in the Northern Territory and not only contains people who eventually settled in the Northern Territory, but also those who transferred to other places. In some cases there is a date of death, or a notation that the person “returned”. It's a terrific genealoigy tool for anyone exploring their family history or building their family tree. Some entries have additional information such as date/place of death. Researchers are advised that to avoid likely errors in the spelling of foreign names, this transcribed listing in alphabetical order needs to be checked with the handwritten Register listing.